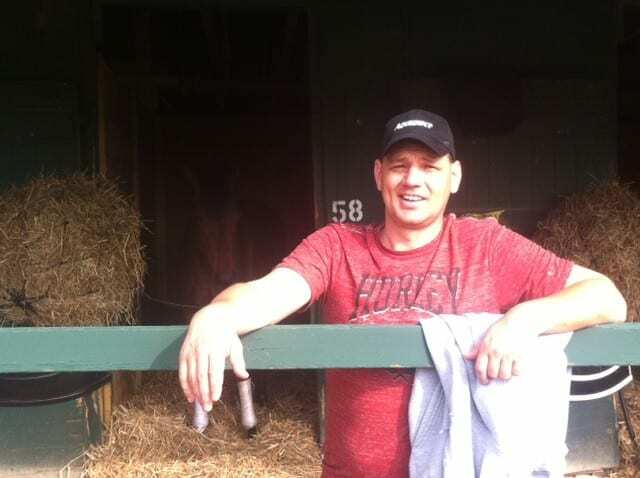 Since his first meet at Delaware Park in 2010, six-time defending leading trainer Jamie Ness has always looked forward to the start of a new season at Delaware Park. The 82nd season of live racing is set to open on Saturday, May 4. While the 44-year-old native will keep horses at Laurel and Parx, he is expecting to be at full force for Delaware. Since 2012, Ness has been the leading trainer at Delaware Park every season, with the only exception being when he finished third in the standings in 2014. Last season, he saddled 41 winners on his way to his fourth straight and sixth overall title. In the history of Delaware Park only two trainers have won more—Grover “Buddy” Delp and Scott Lake. Delp won a total of 11, with seven straight from 1963 through 1969. Lake has won a total of eight, with seven straight from 2002 through 2008. Others preparing for the 2019 season at Delaware Park are Scott Lake, Tim Ritchey, Gerald Bennett, Sam Cronk, Randy Nunley, Michael Gorham, Anthony Pecoraro, Louis Albertrani, Jonathan Sheppard, Arnaud Delacour, Victor Carrasco Jr., Bobby Raymond, John Rigattieri, Richard Hendriks, Joe Minieri, Mike Catalano, Jose Camejo, Hubert Gaffney, Lynn Ashby, Clyde Martin, Jr., Hugh McMahon, Andrew Simoff and Bruno Tessore.